Much to our surprise, none of the topics from the 2017 edition were a fit for SecureDrop and instead of a talk we proposed a new topic, the privacy devroom in the FOSDEM parlance. We were pleased that it was accepted but it also meant we had to write a Call for Paper and promote it so that good speakers were attracted. Gender diversity was specially challenging but hiro and redshiftzero saved the day. At that time we did not know of Speakerinnen but we learned our lesson and will actively look for speakers in Speakerinnen next time. We overlooked an important aspect when reviewing the talk proposals: contradiction. It is easily avoided by inviting people outside of our circle of friends to get a sane debate on the review policy and a more robust selection. For instance we underestimated the importance of talks that were about both Decentralized Internet and Privacy. It is never pleasant to receive a mail that contains the word “unfortunately” after submitting a talk. But when Winfried Tilanus received our apology for not selecting his proposal, he wanted to know how he could improve the next time. And at the end of the conversation he made us realize what we should improve. So we decided to work together on talk selections for the privacy devroom in 2019, should we have the opportunity. We would have been lost without the experience of the organizers of the Decentralized Internet devroom. The FOSDEM staff recommended that we share the devroom during a full day, presumably because the two topics are connected. They already had an IRC channel to discuss, knew how to not be lost in pentabarf (yes, that’s the name, not a joke) the ancient software used to submit and review talks proposals. We quickly decided to split the day and the Privacy track got the afternoon and 8 talks to schedule. The preparation and the morning went smoothly thanks to nitot, @bram, @taziden, @amj, @sebian, @Siltaer, @whilelm, @aleks and @piks3l. It looks like a large crowd for just one room ? It is not. The most important advice, what they learned the hard way during FOSDEM 2017 was to have at least four person to manage the room. Because of their success last year, the FOSDEM granted them a big room: almost 200 seats. It indirectly benefited us but it was also an unexpected challenge. 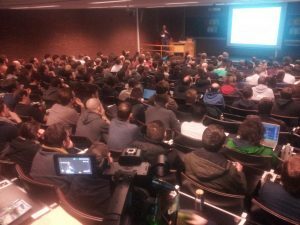 I met with a few speakers before the privacy track started, some of them attending FOSDEM for the first time. 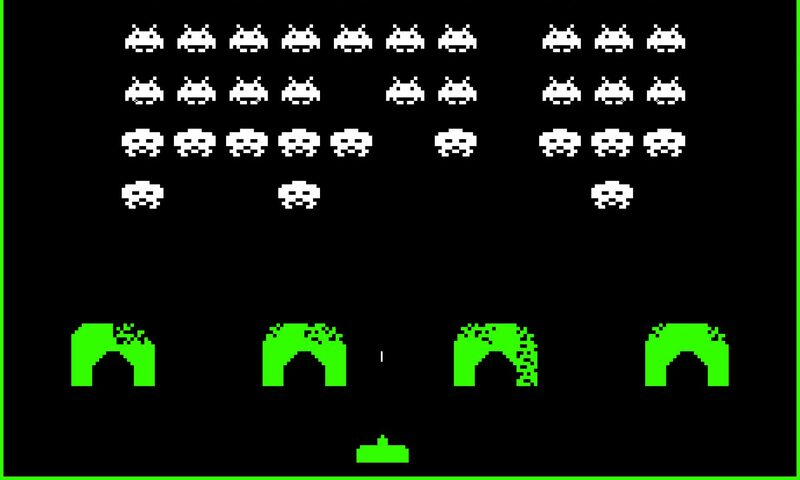 When someone hears about a conference dedicated to developers and no registration fee, they do not expect it to be so busy. What if 200 of their peers actually wait in line to listen to their talk ? It would make anyone a little nervous and I’ve seen them work harder than ever, rehearsing their talk. The speakers we did not know were excellent. And the speakers we did know delivered talks that were of a higher quality than usual. They did not panic, they delivered their best performance. The room was full for the first talk featuring tor, we had to guard the doors and apologize to dozens of people disappointed to not attend. Only then did we understand the need for four persons: two, guarding each door and kindly showing the Room Full sign, one helping the speaker with the microphone and watching the timing, the last one operating the video camera. We carefully organized our presence but … we scheduled only two people at a time. 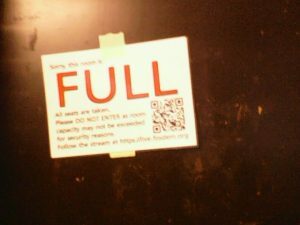 Deep down, we did not believe the room could actually be full. As if that was not enough, the HDMI adapter broke immediately and hiro had to start her talk with no video, kudos to her for not loosing her cool. And to the friendly audience who applauded the performance. We, the grunts supposed to deal with the problem, did not panic either (or did we ?) and tried various things. Thanks to bircoph who was in the room in advance, the slides were visible again after 10 minutes, using his laptop with a remote control on top of that. Five minutes later the FOSDEM staff replaced the faulty connector with a new one. For a moment it felt like we were in The Play that Goes Wrong but everything went smoothly after that and each talk started right on time. It would have been very messy with just two persons, even without any technical problem. It takes about 3 minutes to rotate a room with 200 seats. But only if two persons are holding the doors and letting the people out before the other come in. Otherwise it gets very slow because the room crowded. At the same time someone must help the speaker with the microphone and the video because there is between 3 and 5 minutes between each talk. But a small miracle of self organization and good will happened. heartsucker welcomed the speaker most of the time, relayed by redshiftzero, kwadronaut handled one of the doors and Conor took over, eventually relayed by redshiftzero. And @sebian who was also present all morning, kept operating the camera, most likely because it was immediately obvious that we could not do that on top of the rest and he took pity on us. I stayed the whole time to guard one door and nobody coordinated anyone. When someone left their post they looked for a volunteer to take over, it was as simple as that. At 5pm sharp the Privacy track was over and we were handed a large trash bag and a broom by the FOSDEM staff. We cleaned the room with someone from the audience who stayed to help out and it felt good. I hate pushing a broom, but after watching six out of eight talks rewarded with a full room, the two other with over a hundred people, a friendly audience and excellent questions, even the most boring detail was perfect. It is unsure if the FOSDEM will give us the same opportunity again next year, but we will definitely try early September 2018. It was a pleasure to embark in this adventure with all the people cited above as well as the three last speakers of the day Tobias Mueller, Caleb James DeLisle, Tom Hacohen and a great audience.